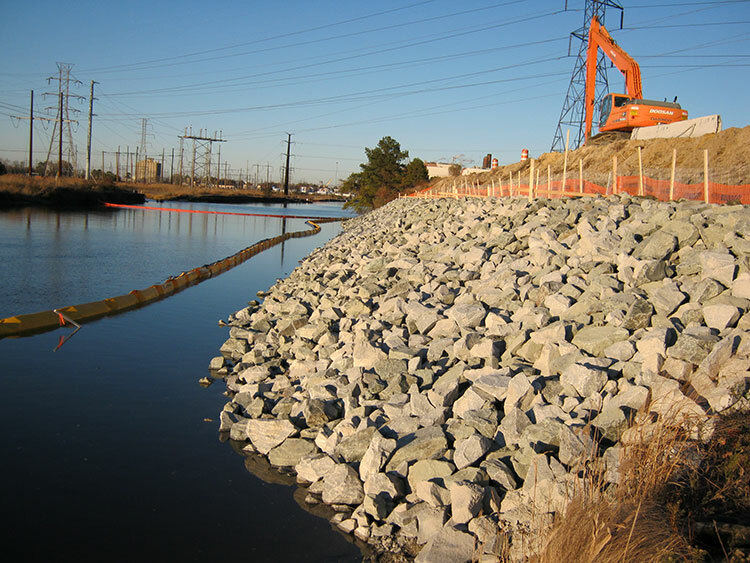 The RFP was sent out 1 week prior to the bid due date and the project owner was requesting immediate response to stabilize the shoreline at their industrial facility. 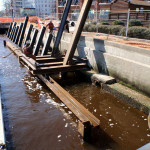 Crofton was determined the low bidder and given 30 days to substantially complete the construction. 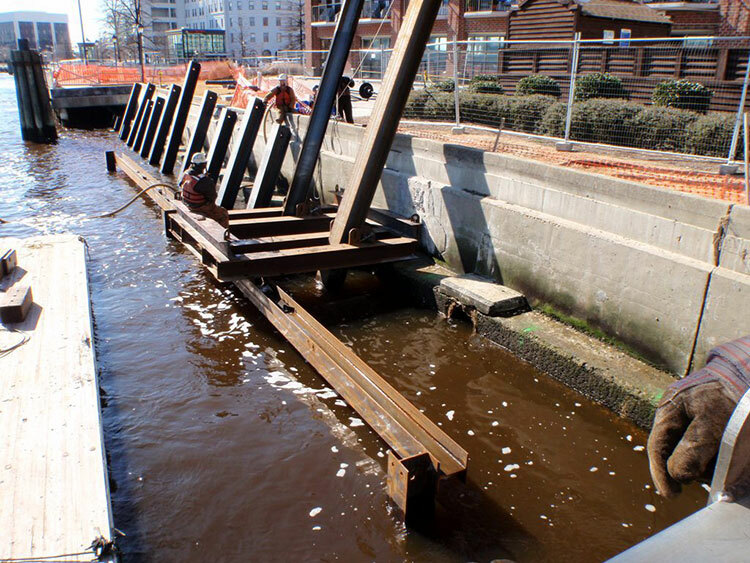 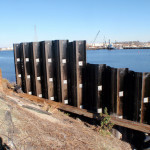 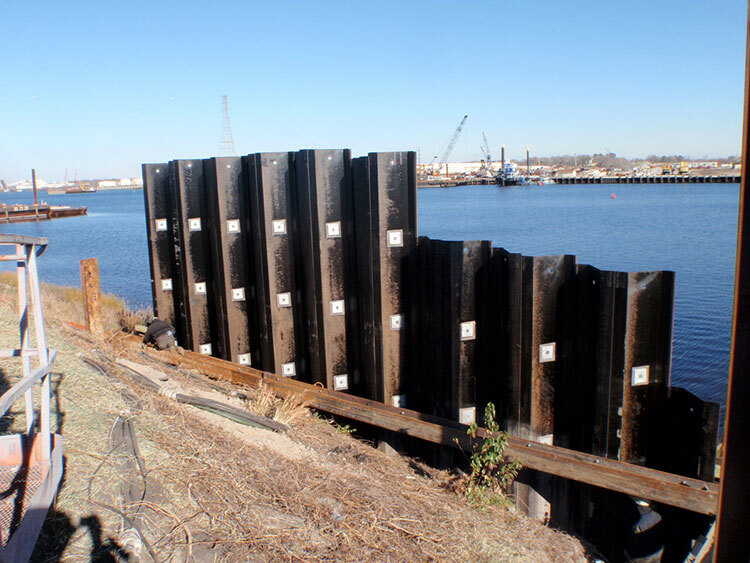 The project consisted of clearing and grubbing 1 acre of embankment, excavating 500 CYS of unsuitable fill, installation of 465 lf of sheet pile bulkhead, placement of 2100 tons of VDOT Class 1 rip rap, placement of 800 CYS of select fill, and embankment stabilization. 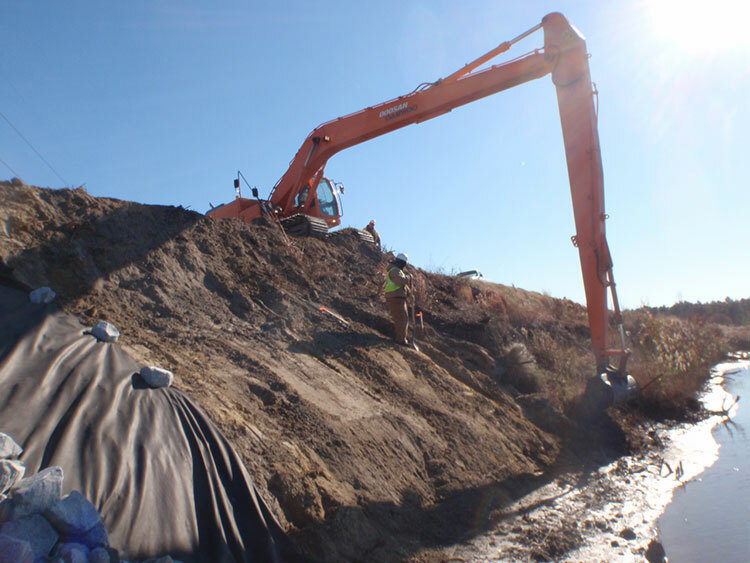 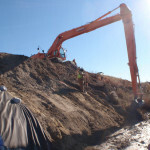 A major challenge to this project was working around the environmentally sensitive shoreline. 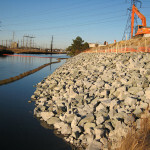 Crofton completed the project on time and without any impact to the surrounding wetlands.